You already know this girl LOVES Coffee...what else ranks right up there at the top?...CHOCOLATE! There have been times in my life that I wished I wasn't such as Chocoholic....but as I have gotten older matured, I've just accepted it and keep on living in yummy, chocolate LOVE! Hopefully you read my post on "How to Make Cold Pressed Iced Coffee"....If not What are you waiting for??? Click here to learn how!! 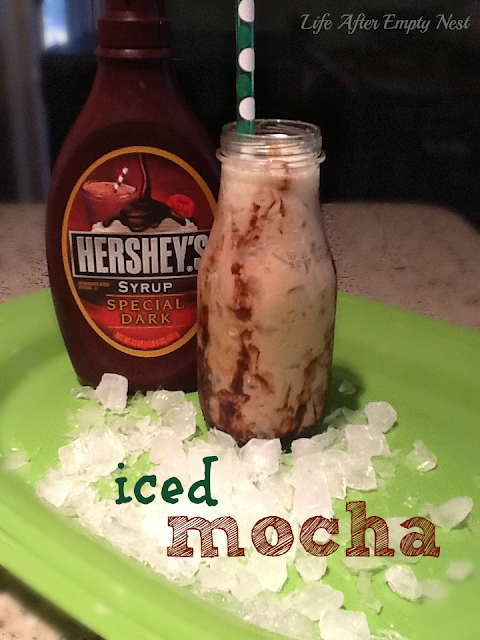 If you are enjoying the BEST Iced Coffee on Earth and LOVE Chocolate too...Let's make it a MOCHA Please!! 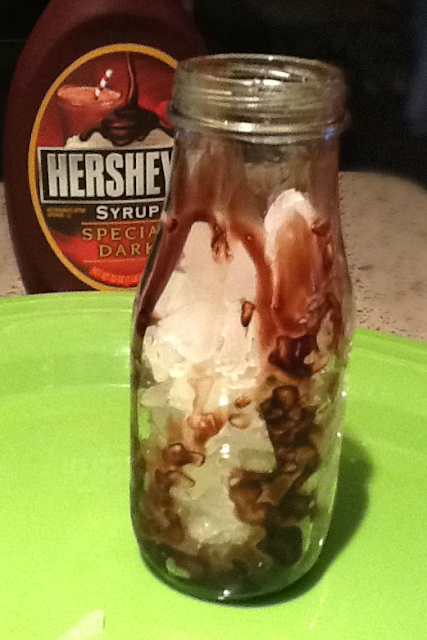 Just add the Coffee Base to a glass full of ice! Presto!...Iced Mocha...for a FRACTION of the price! I know it is just what you are craving on this HOT Summer day!! Now...Go make some!! Let me know what you think!! Stay up to date with my latest by signing up below! Another drink I look forward to making- or having the hubby make me!! Did you make it yet Selene? Can't wait to hear what you and the hubs think! Looks and sounds delicious. I'm a chocoholic too. I've been using Hershey's Special Dark products in my baking for quite some time now - just love the flavor! You need coffee and chocolate with your baby girl being sick! Hope you can squeeze in some time to make some! It's delish! 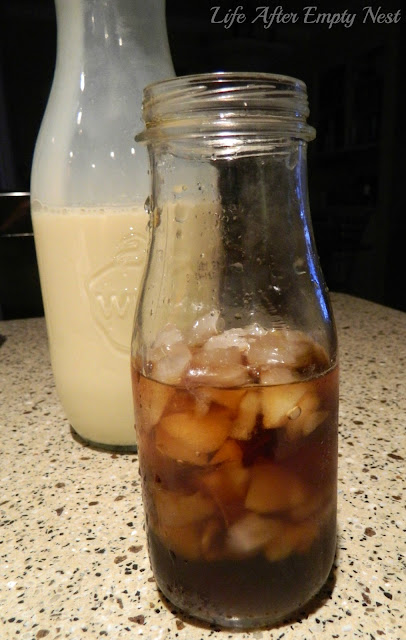 scratch my comment on the regular cold brew coffee...THIS is what I'm making this weekend!! I would never scratch a comment from you Lily! Cofee + Chocolate = Yummy! Can't wait to hear how you like it!! I love iced mochas, and this one is so pretty! What a great idea to put it in that bottle. Love it! I'm going to try your cold pressed coffee. Yum! I'm so glad you are going to try it Andi! It is delicious! 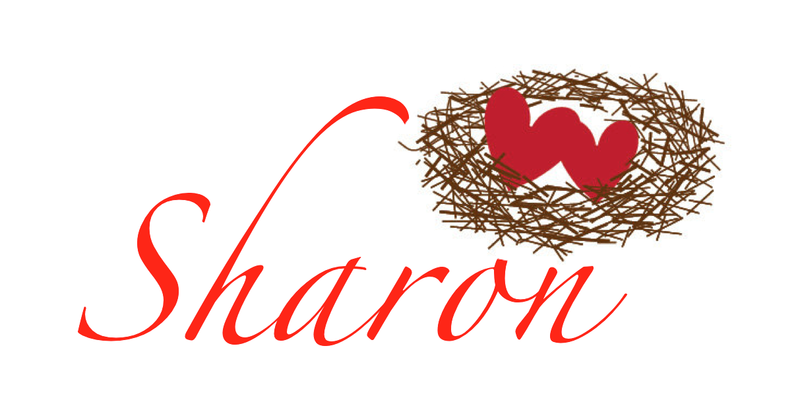 I'm totally in love with your iced coffee recipes, Sharon♥♥♥ Genius!!! Pinned your previous post on Pinterest today and definitely making it tomorrow;-))) Thank you so much for sharing! Did you make it yet Maria? Can't wait to hear what you think!! Oh wow, this looks yummy! I love iced mocha so I'm really glad I found this post. Thanks! Me too Ritchil...something so yummy about coffee and chocolate! Thanks so much for sharing this at "The Saturday Spotlight party"! So sorry to tease you April! I give you kudos...not sure I could ever give up coffee! Thanks for your awesome party each week! Love linking up! I'm new to this whole cold brewing thing even though I LOVE COFFEE!!! Off to do some reading :) Found this post on Somewhat Simple! Surely our readers would enjoy this recipe too (lots of coffee fans) stop over and link at our SUPER SUNDAY Link Party, runs though Tuesday evening! Thanks for the invite Lori! I will join this week! I was out of town and got behind on my comments! Emily, You are so good! I hope when the fast is over you can try this! I want some NOW! YUM! Come on over, I've got some in the fridge! I'm droooooling! Featuring you at this weekend's party! Thanks for linkin up to Sunday FUNday! I appreciate you! Thanks for the invite Melanie! I'll check it out! Thank you so much Trish! I am proud of my hero! Thanks for your lovely comment! It put a smile on my face! I'm not much of a coffee person but this looks like it could convert me, LOL. I know the rest of my family who are coffee drinkers would LOVE this. Pinned and following you on BL now. Found you through Whimsy Wednesdays. Thanks Del...you are right! It may convert you, it is DELISH! I appreciate the "pin" and follow! I didn't even have time to comment on this because as soon as I saw it I went right to my kitchen and used up the rest of the coffee that had been sitting there since breakfast and made this. I really like the iced mocha lattes at Dunkin Donuts, but they can get expensive. This was really good. Thanks!! These LOOK DELICIOUS!!!!!!! Please come share this on DIY Sunday Showcase, it's open now!